The path and username of the selected user is shown here. 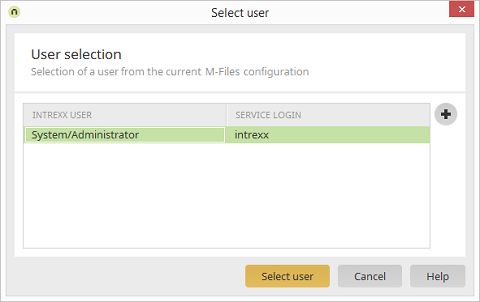 The login for the M-Files service is shown here. Opens a dialog where a new user can be added.